If, like me, you know your way around a computer a bit and you can kind of manage your iPhone and iPad then you will have heard about blogging. I decided it was time to invest in myself and I enrolled on a course to really learn about what blogging was and how to do it properly. I really believe that even if you are doing the same work day in, day out or if you are suddenly starting something new, you need to be putting time (and money) aside to be able to keep learning. So, this is my new investment in learning. Once you have typed your blog and hit the publish button, a Search Engine, like Google, will “read” your blog and then when someone types into their browser bar 10 Top Tips for Blogging, for example, Google will run a series of tests to see if your blog is of enough value to bring up on it’s pages. Ideally you want to be on Google’s first page. I am going to massively condense my learning and try and give you 10 Top Tips for blogging here and now. You can read more of our in-depth blogs (see how I used the word there!) here. It needs to be about 5-10 words long and catchy. It should ideally contain your keyword/s (the word/s that people will type in their browser bar when searching for a topic e.g 10 Top Tips for Blogging). These are the words that people type in to their browser bar when searching for something. You need to know about keywords if the aim of your blog is to attract a particular audience. If you sell shoes, you will find it difficult to rank amongst the million of other people who sell shoes if your keyword is simply “shoes”. Think about what people specifically search for in order to reach you and invest in either time or money to go on a course and learn about how to use crucial keywords! Keywords deserve a learning day all of their own. There are a number of different types of keywords but it is worth doing your research on them. How are you going to come across to your audience? The key here is to be genuine. Don’t try to be witty and amusing if you aren’t like that in real life. The reader will spot it from a mile away. Your audience will keep coming back to you if they know what to expect and they like it. Are you using your business or your personal persona? Some of us in our personal lives are naturally witty or amusing – but is that what your audience wants from reading your business blog? It is perfectly fine to have a “business face” and blog according to your brand and target audience. It is fine to give a little bit of yourself away. If people are investing in your business in any way they need to be investing in you and they won’t unless they feel they can trust you. Blog about why you started your business, what awards you have won, any events you have attended etc. This can be key for relationship building. You know your products and services are amazing. Other people don’t. Tell them why they should become your customers/clients. Spell it out really clearly. Don’t just say “I use quality products” – say why they are quality – or what you do that turns them into that star quality? This is really important because people will browse many websites before buying – you need to convert that browsing into a sale. Lists are good. People like quick and easy reading. Google likes lists! 10 Top Tips for Blogging – or anything, works really well. Use an image – or 3! Google likes images. Make sure you appropriately label your image to link it to your blog. Use personal images where you can- if you’v e made it, photograph it and use it! Just like these gorgeous 3D Casting baby feet! Be very careful not to use images without permission if they are not yours. The fact they are on the internet and you can download them does not make them free to download. You could get penalised at a much later date with a hefty fine. Use links to show Google you are not spamming. 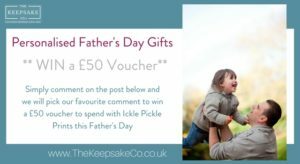 Always link your blog to your webpage “to find out more about this and to see my other blogs go to “The Keepsake Co“. Always make sure you hyper link it. (That’s when readers can click on it and it will take them to the relevant webpage.) You have to make things super-easy for your readers. Remember you can link to other peoples’ blogs, other webpages, anything, but always consider the impact it will have on your business – you don’t want to lose that customer to someone you have linked to and you don’t want a bad reputation from that link to come back on to your business. Go away then come back and proofread it again. Spelling mistakes and grammar errors are a no-no. Once you have published your masterpiece, check it out on your webpage and make sure it looks how you want it to look and that all your links are working. Viewers will have little patience in trying to get things to work! Don’t waste all that hard work by posting it on your webpage then sitting back and wonder why no-one has read it. Use other platforms like twitter, Facebook, Instagram to say “check out my blog”. The more you can keep getting it out there, the more Google likes it and if you can please Google – that first page is within your reach! I learned so much more on the course, far too much to put on here. In fact the list almost turned into 20 Top Tips! I hope I have done credit to the course provider Serra at Martin-Mum and also the presenter, Sally Godfrey from the amazing blogging site Sal’s Kitchen. I thank them both!